Lexus Repair in Orlando | C & G Auto Center Inc. The highly skilled auto mechanics at C & G Auto Center have been providing #1 Lexus auto repair services to Orlando, Davenport, and Winter Park since we opened our doors. We excel at our work because we truly have a passion for auto repair. We’re expert problem solvers so you can breathe a little easier knowing that your Lexus is being attended to by leaders in the field. 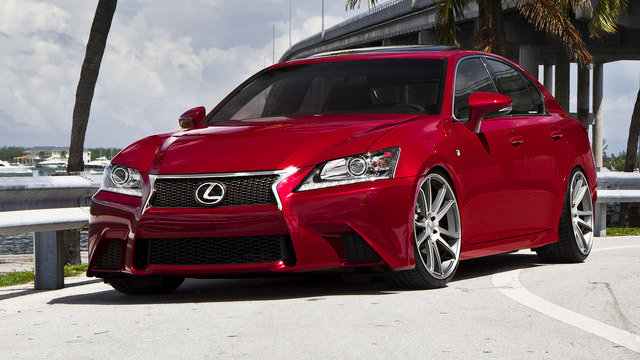 It’s important not to neglect symptoms that could imply that your Lexus is in need of auto repair services. Don’t risk putting yourself, your passengers, and other drivers on the road in risky situations. Allow the friendly and knowledgeable team of auto mechanics and customer service advisors at C & G Auto Center to make auto repair easy for you. We’ll inspect your Lexus from top to bottom and from front to back to determine what the issues are. We’ll advise you on the best plan of action and get you on your way in no time. “I came in last year needing a tune up and check on the brakes. They took care of my car and it ran great. I noticed the brakes started acting up again and took it back about 10 month later (last week). They honored any of the work still under warranty and fixed everything that had been causing the problem and had it completed the same day. Honestly the price is a little high, but I keep going back to them because when you're safety is involved "Great Value" is a bit concerning. They do high quality work, have great service, and is 100% worth the price. I very seriously mean it when I say it is worth the price when you're safety is involved. The same day I picked up my car another vehicle ran through a red light nearly hitting me. Thank god my brakes were 100% otherwise I may not have been able to avoid the accident. PS: Get a Dash Cam! !” -- Clayton A. C & G Auto Center is committed to providing car owners in and around the Orlando, Davenport, and Winter Park areas with top-notch auto repair and customer service. Please contact us for Lexus work, schedule an appointment online, or visit us at 4155 W Oak Ridge Road in Orlando. Clients rely on our team of adept auto mechanics to offer services that are unrivaled by the competition. We look forward to giving your Lexus leading services so you can get back on the road feeling secure.